Home > Rigging > Rope Slings > Adjustable Transformer Sling 1/2"
Our adjustable rope slings are assembled in our facility and can be custom made to the customers requirements. 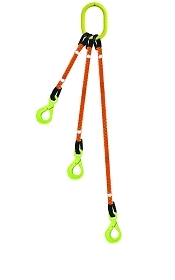 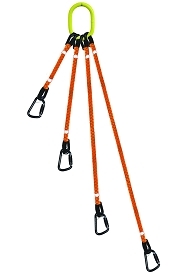 We can make single and multiple leg adjustable slings in various sizes and material. Adjustable slings easily replace a variety of different slings, accommodate different sized loads, and are infinitely adjustable. 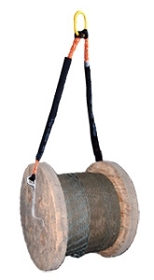 We can add wear protection to the slings that will enable use in areas where chaffing might occur. We also can manufacture eye and eye and endless type rope slings in any size or length. Custom sizes and lengths are available, please call for a price quote.